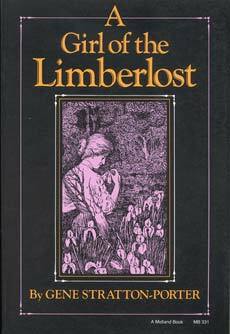 Original Content: Blogging The Limberlost: The Limberlost Provides. But That's All That's Happening Environmentally Here. Blogging The Limberlost: The Limberlost Provides. But That's All That's Happening Environmentally Here. they should or could do anything to preserve it. As I said last time, Elnora recognizes that the Limberlost is becoming depleted. "The swamp is almost ruined now," she says. "The maples, walnuts, and cherries are all gone." She just doesn't recognize that she and her family have a part in that. When her mother (in another adult savior move) moves the two of them to town to support Elnora in her new job(s), she says that if she needs more money to pay for their new lifestyle, "I'll sell some timber and put a few oil wells where they don't show much. I can have land enough cleared for a few fields and put a tenant on our farm." They are part of ruining the swamp, but they don't recognize it. And how about the business of killing the creatures of the Limberlost? Okay. 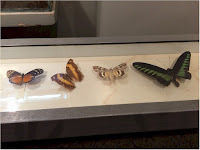 They are small creatures, moths and butterflies. I am not an anti-hunter, by any means, but I will admit that I am totally freaked out by the way characters in this book catch things they think are beautiful and kill them. Elnora gets a lot of credit for her knowledge of nature, especially her knowledge of the moths and butterflies of the Limberlost. Which, you know, she captures, kills, and sells. How good for the swamp is that? When witnessing a moth leave its case and begin opening its wings, Elnora, her mother, and Elnora's young man agree that it took "the wisdom of the Almighty God to devise the wing of a moth. If there ever was a miracle, this whole process is one." They go on for quite some time on the spiritual aspects of the moths. But that doesn't save moths from the cyanide jar. Which, I guess, the Almighty God also devised. There's lots of talk of cyanide jars. "We must get the cyanide jar quickly," said Philip. "I wouldn't lose her for anything. Such a chase as she has led me!" "This cyanide has lost its strength, and it's not working well. We need some fresh in the jar." At one point, Philip happens to find the perfect butterfly for Elnora during a ball. He drops everything to get it packaged up to mail to her. He didn't have any cyanide, but gasoline was handy. Yikes. I definitely recognize that I'm talking about a one-hundred-year-old book, a product of another time. Readers shouldn't project the values of their time onto another. If the naturalists of this earlier time had not yet become activists, that's just the way it is. Accept it Gail. But Theodore Roosevelt, U.S. President from 1901 to 1909, was creating national parks, bird reservations, and the national forest service in the years leading up to Limberlost's publication. And just yesterday I learned that the Cincinnati Zoo was trying to save the passenger pigeon from extinction around the same time. It failed. The last passenger pigeon died there in 1914. So activism had begun at the time Limberlost was written. That's no reason why an author writing then needed to include it in her book, of course. Especially if her book wasn't about nature at all, but something else altogether. I will speculate about that another time.